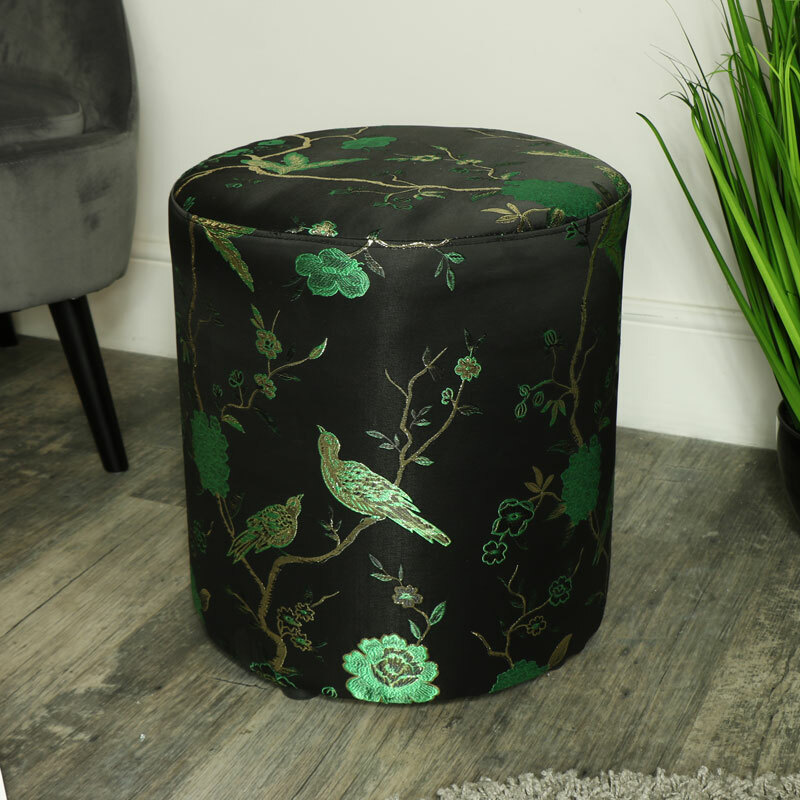 Stylish stool upholstered in green & black Jacquard embroidered fabric. Beautiful oriental design, featuring birds & flowers. Perfect for the elegant bedroom, boudoir or living room. Add a feel of the orient to your home decor. Stunning stool that can also be used as a footstool. Fully assembled with 4 black feet for protecting your floors. A stunning addition to any home interior, the vibrant emerald green of the birds and flowers stands out against the black fabric background. 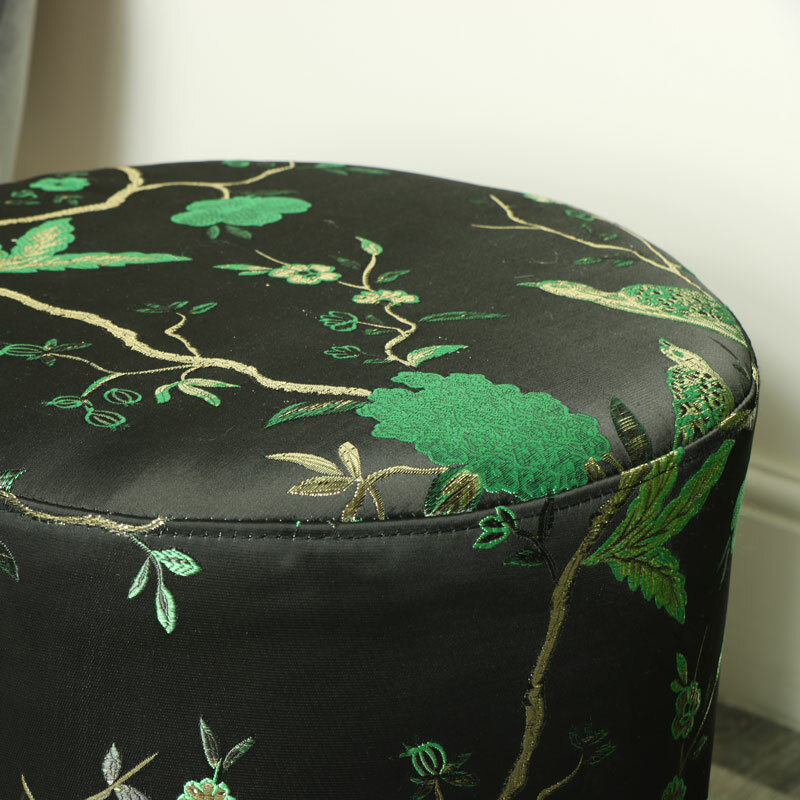 Stylish stool upholstered in green & black Jacquard embroidered fabric. Beautiful oriental design, featuring birds & flowers. Perfect for the elegant bedroom, boudoir or living room. Add a feel of the orient to your home decor. Stunning stool that can also be used as a footstool. Fully assembled with 4 black feet for protecting your floors. 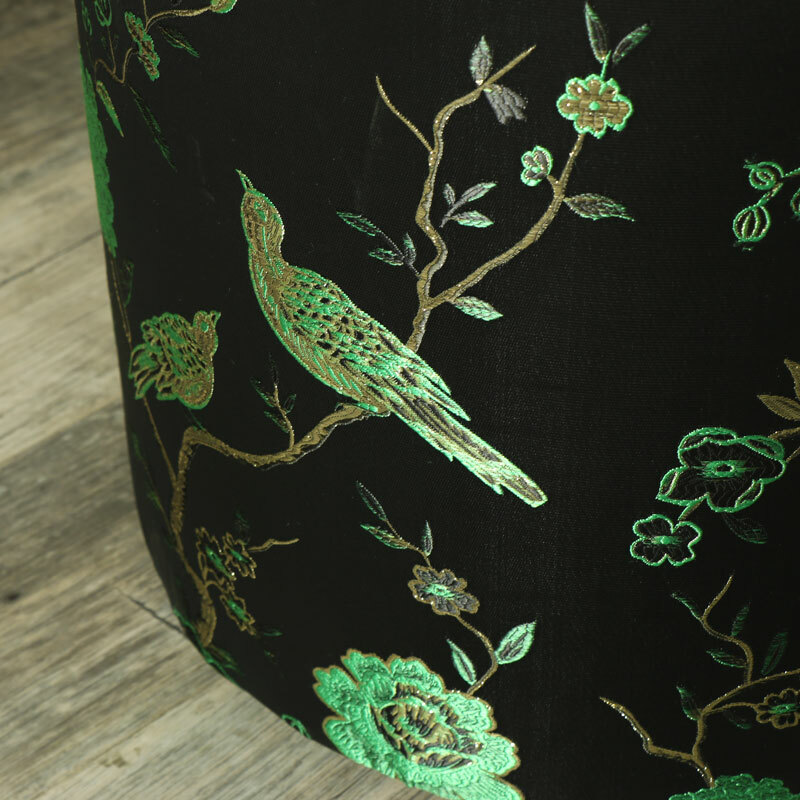 A stunning addition to any home interior, the vibrant emerald green of the birds and flowers stands out against the black fabric background. Upholstered in a luxurious black fabric with Jacquard woven design. This stool comes fully assembled so need need for fiddly fixing together, simply unbox and place where needed. We have many more stools, footstools, sofas and chairs for you to choose from and an extensive range of wooden furniture that will allow you to restyle your home and create your perfect dream space.